Tattoo designs are often deeply personal expressions of self and so, it is not always possible to find a ready-made design that is exactly what you want. 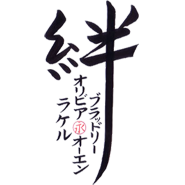 For this reason, we are proud to offer completely custom Japanese kanji tattoo designs, where we work with you on the translation, the font, and the layout. 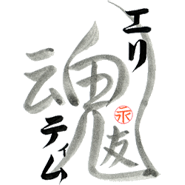 This is a completely custom design where you will be working directly with Master Japanese Calligrapher Eri Takase to create a design that is just right for you. Your custom tattoo design starts when you place your order and describe what you would like. We then create several options for the translation and present you with several sample designs with different fonts and layouts. 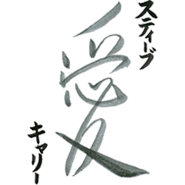 These hand-lettered designs by Master Takase are then emailed to you along with a detailed explanation, and we are happy to provide you with as much information as you need so you are as happy with the translation as you are with the design. You can then examine the designs at your leisure and decide which samples you like and the direction you would like to proceed. 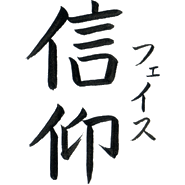 In this fashion, you and Master Takase create a custom Japanese kanji tattoo design together that is unique and exactly what you want! The design process is fun, informative, and normally takes two or three sample sets to arrive at the perfect design. When all is finished, the final design, along with the line art and explanation, is emailed to you as an Adobe PDF. All you need to do is print the design and take it to your tattoo artist to have your new design inked. We provide you with everything you need. We welcome you to take a look around, and if you have any questions please feel free to Contact Us. We look forward to the opportunity to work with you to create a unique work of art. 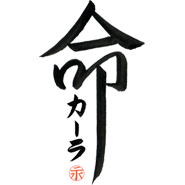 Features the designed kanji for SoulMates connecting two names written in beautiful Japanese calligraphy.